Wyandottes are an American breed - they are docile birds kept for their brown eggs and meat They can lay around 200 eggs a year and some will become good setters. The Silver Laced was the original color, with the Golden Laced developed latter. Because they have a rose comb and are heavier birds, they do well in colder climates. The first picture is of a 1 week old chick. 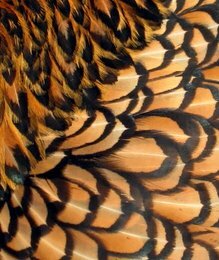 The second picture shows the feather pattern of a mature bird. How are you able to ship the 4 wk old chicks during the summer heat?? 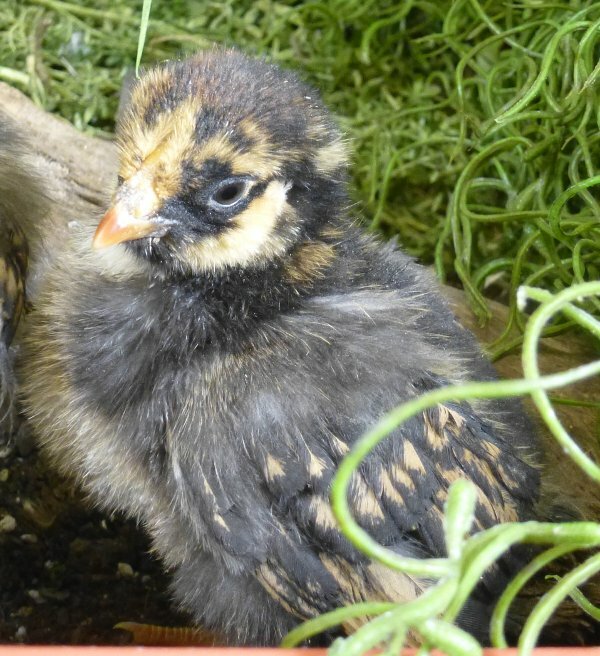 The juvenile chicks (4-9 wks old) are shipped Express Mail via USPS. They arrive within 1-2 days in transit. We include fruit/vegetable slices in the shipping box to aid with hydration. Are the chicks female? I can only have female chickens by inner city law. The juvenile chicks are sexed females. We do not offer juvenile males of any breed.